This article is a review of HILL OF FREEDOM. 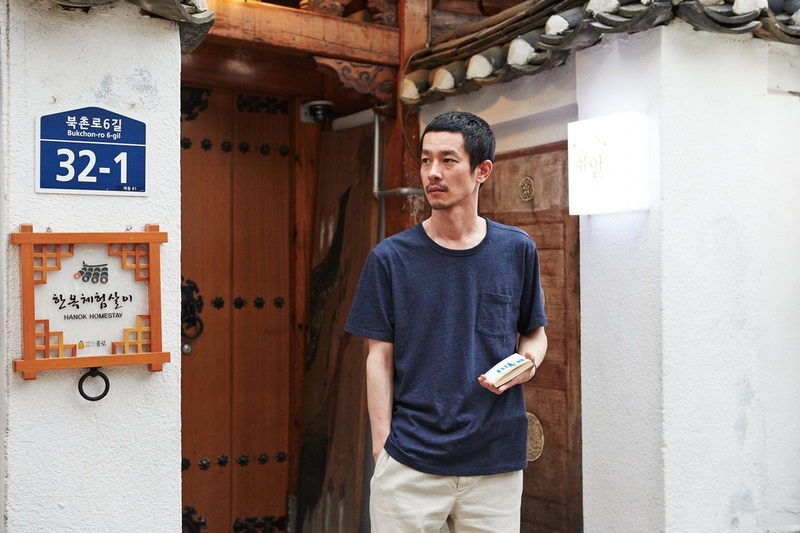 Laziness is not an accusation one can stick to director Hong Sang-soo; HILL OF FREEDOM is his 16th feature film since 1996. Woody Allen levels of prodigiousness, and a shared commitment to unfurling the myriad ways men and women fumble around each other – though Sang-soo tends to lay the blame of ineptitude at the feet of the former, means at least an annual fix. Patriarchal societal mores dominate more in South Korea, compared to the West, and battered female romantic feelings are the common end result to his films. Sang-soo has here stepped up the mirror holding as to gender imbalance (though Paris-set NIGHT AND DAY (2008) arguably remains still his most coruscating). Habitual playful opening credit music signals a preparation for a lightness that rarely arrives; unless we talk of narrative structure – Sang-soo excels at treating cinema like a Rubik’s cube that is never aligned. Finding innumerable ways of recounting a story causes a doff of the metaphorical cap – other filmmakers can appear staid in comparison. Kwon (Seo Young-hwa) returns from a mountain retreat to her job at the language school. Awaiting her is a bundle of love letters from old flame Mori (Ryo Kase), who has come over from Japan riddled with regret at not marrying her when they were together two years previously. Overwhelmed by the emotion of hearing from Mori, Kwon drops the missives. Undated, and therefore unsure as to how to reorder, she reads them as haphazardly collated; voice-overs compliment the action unfolding, but the timeline is diced up à la 21 GRAMS. At only 66 minutes, concentration is required to deeper degrees than many films twice its length. When in Busan, South Korea earlier this year, one had to sample alcoholic beverage soju, made famous to me by the regular scenes in Sang-soo’s movies, of characters imbibing, and spilling their emotional guts. HILL OF FREEDOM tweaks fan expectation here in small ways, such as: Wine and beer are included as tongue-looseners. Also, the cast is far more cosmopolitan. Finding respite at the titular café, while looking for Kwon, Mori makes friends with the owner, Yeong-seon, who is having her own romantic travails. Drawn to each another in lonely frustration, betting against at least one of the three main protagonists ending up miserable is not wise. Romantic melancholy is bone-deep with these characters. Sang-soo then mixes in professional woes: Mori is out of a job, Yeong-seon wants to be an actress, and Sang-won (Kim Ee-seong), whom Mori befriends at the inn he resides, has debt worries. Acknowledging concerns outside of social awkwardness is a welcome addition to the filmmaker’s preoccupations. Mori, unsubtly, carries around a book about time. Lack of linearity is engrossing the audience, while timing of love grips the characters. It’s not that the writer-director is underestimating his audience (one hopes), but a nudge perhaps to help us fathom his conundrums set.